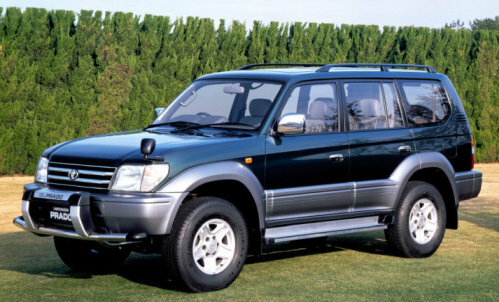 The launch of Toyota Land Cruiser Prado 1996 happended in May 1996. Unlike the previous generation the car got a completely new body. The car is based on the Hilux Surf / 4Runner platform. The innovations were significant. 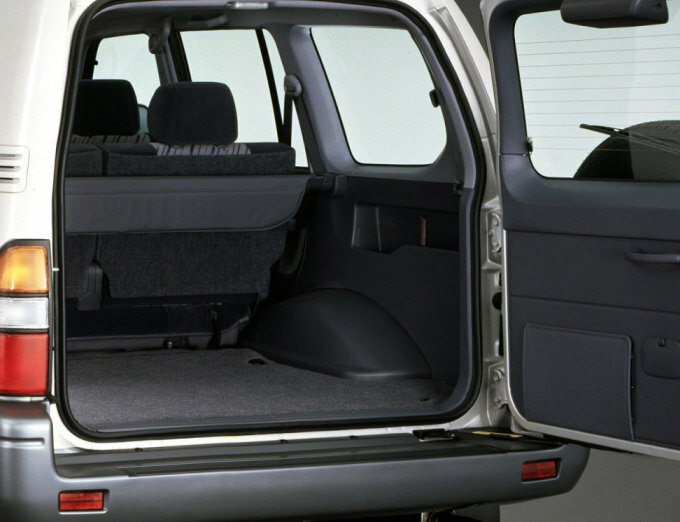 The car has acquired more streamlined forms, a spacious and comfortable passenger compartment, large door openings. 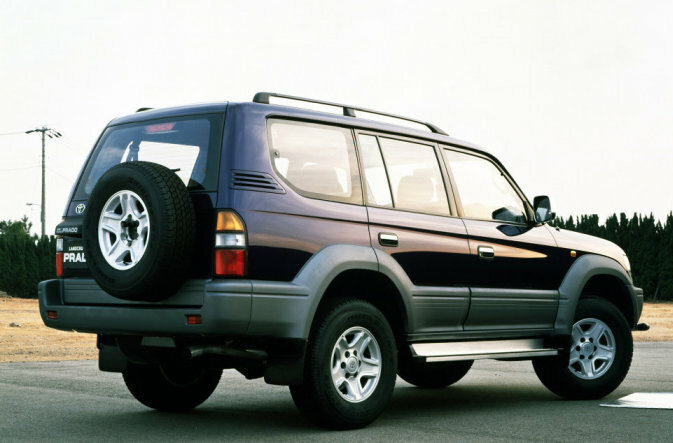 The front suspension has become independent (for the first time for the Land Cruiser model). By that time, the popularity gained by the previous series greatly expanded the possibilities for the production and promotion of the new model. Its advertising company played an important role in the popularization of new car. It primarily emphasized the image of not just an all-wheel drive car, but a light and comfortable SUV, designed for those who want to enjoy the active rest. Like the previous generation Toyota Land Cruiser Prado 1996 was available in two versions, differing in wheelbase size: a three-door (letter R in the index) with an emphatically sporting style and a more prestigious five-door version. Despite the differences in the equipment (the simplest – TJ / RJ, top – TZ / RZ) for all versions were offered ABS, electric package, two airbags. Toyota Land Cruiser Prado 1996 has a very reliable, got from the previous generation, a modernized 3.0-liter turbo diesel engine 1KZ-TE with an intercooler with a power of 140 hp. However, in view of the various changes, more powerful engines were required. Therefore, some modifications had petrol engines: 3.4-liter 5VZ-FE (V6 DOHC) with power of 185 hp, and (since 1997) 2.7-liter 3RZ-FE (R4 DOHC) with a capacity of 150 hp. Cars produced for the domestic Japanese market have a permanent all-wheel drive with a symmetric center differential, rigid forced locking and lowering transmission. In the rear axle, either a limited-slip differential or a hard-to-lock differential with an electric drive is used. The front suspension is independent, torsion-levers. The rear, continuing the tradition of the Land Cruiser, is a continuous bridge on springs with jet rods and anti-roll bars. This design provides an optimal combination of good stability and comfortable driving. In expensive trim levels shock absorbers with adjustable stiffness were used. Toyota Land Cruiser Prado 1996 made significant progress in terms of safety. Airbags for the driver and front passenger were installed as a standard option. There were various systems designed to improve the performance of the all-terrain vehicle when driving in difficult conditions: Electronic Stability Programm (ESP), Traction Control System (TCS), Brake Assist System (BAS). As a weighty argument, even with the purchase of the pre-owned Toyota Land Cruiser Prado 1996, it can be noted that it is relatively simple from a constructive point of view, a very balanced and reliable car. The body is well protected against corrosion. Problems with engines and suspension are solved, basically, by replacement of consumables. We are really happy to present you Toyota Land Cruiser Prado 1996. 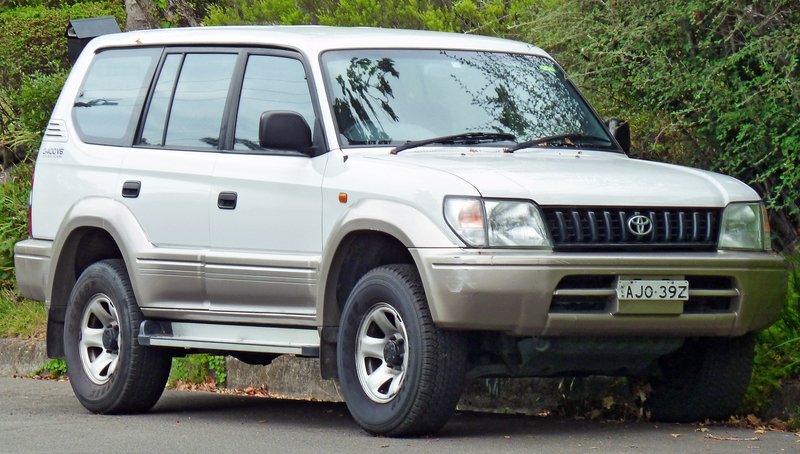 In the same review see photos and video of Toyota Land Cruiser Prado 1996. So – go!